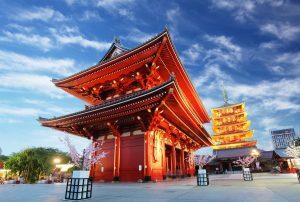 If you’ve ever traveled to Japan, or are familiar with Japanese culture, then you most likely know how important ceremony is to the country. The Japanese people have many rites and rituals, with many of them stemming from various religions found throughout the country. As with many religious ceremonies, food and drink come into the equation at some point, and in Japan, sake is a very important part of certain ceremonies. 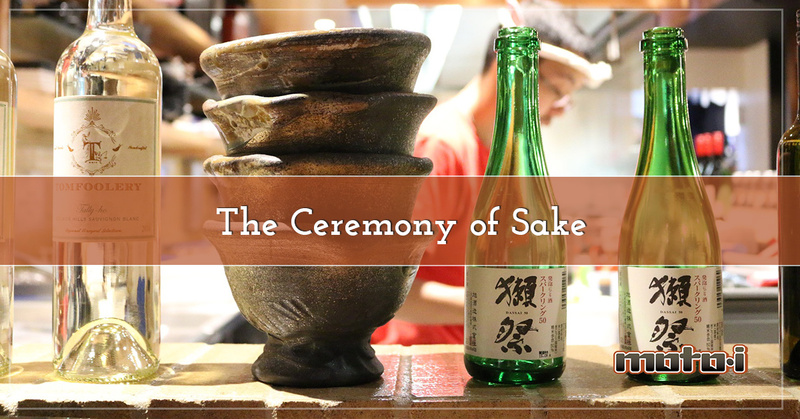 At Moto-i in Minneapolis, we want to honor the sacred virtues of this ancient beverage, and that’s why, in this post, we’ll look at some ways that sake is used to commemorate and celebrate certain occasions. When it comes to sake, there may be no ceremony that’s more important than kagami biraki. In Japanese, “kagami” means “mirror” and “biraki” means “to open,” so the celebration of kagami biraki literally means “to open the mirror.” This ceremony can take place at weddings, sporting events, and many other places (including dojos), and it’s a very important part of the celebration. During kagami biraki, the lid of the sake barrel is opened with a wooden mallet known as a “kizuchi.” Once the barrel is open, the sake is scooped out with a wooden ladle called a “hishaku.” Using a square-shaped cup known as a “masu cup” (which were originally used to measure rice), the sake is served and people get the first taste of a new barrel! If you ever find yourself in Japan for the New Year, or you’re attending the opening of a new building, be ready to celebrate kagami biraki! The jichinsai, or “ground festival” in English, is the celebration of the construction of a new building. Sake is sprinkled over the property, and then the cup is offered to the owners of the new building. This is meant to purify the ground before building begins, and in some cases, the ritual is repeated once the constructed is completed. Japan has four distinct seasons, and the Japanese people celebrate the changing of the seasons in many ways. One common ceremony is known as sekku, which is observed at the turning point of each season. In March, May, and September, there are different types of sake and different types of flower petals that are used in the ceremony. The intention of drinking the sake is to ward off unkind spirits and wish for a long, healthy life. Wedding ceremonies are different all across the world, and in Japan, traditional weddings took place on the grounds of a Shinto shrine. 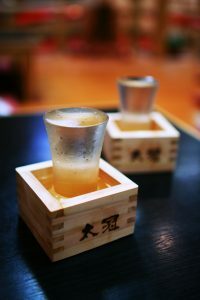 The couple, dressed in traditional garb, participated in a ritual known as “san-san-ku-do.” This term literally translates to English as “three-three-nine-times,” and it signifies the three sips that the couple takes from three different-sized cups. Each cup is slightly larger than the one before it, with the smallest representing heaven, the middle the earth, and the largest humankind. The number three is particularly lucky in Japan, and this ceremony is an important part of nearly every wedding celebration. As you can see, sake has a very important place in Japanese culture, and at Moto-i, we want to bring that culture to you. If you’ve never had sake before, stop by our restaurant or tour our on-site brewery to get a taste of this delicious and traditional beverage. We have many varieties to choose from, and our staff will gladly recommend the best choice based on your tastes and preferences. We know that you’ll discover one or two that you absolutely love, and when paired with our delicious Japanese cuisine, you’ll have an experience unlike any you’ve had before. Visit us in Minneapolis today!